How to adapt to life in another country? Our ancestors have done it. Perhaps someone you know has done it too. But what does it really takes to pack up and start a life in a new country? And how to be successful? 1. ESTABLISH A GOAL AND KEEP FOCUS. Every year thousands of people migrate for different reasons. The issue of refugees that flee their home country seeking asylum are a different topic all together and I will not attempt to cover here. I’m only talking about those who decide to leave their birth country in search of a better life for themselves and their families. I see too often individuals arrive here in the USA thinking that they know the reason they moved (improving their fluency in English; pay up bills and recover from financial difficulties and to invest for their future in their home country, and so on), however, as time goes by, many fail to resist the temptations of a capitalist culture and they end up postponing their return. Whatever your goal is, stay focused and the results will speak for themselves. Once you know exactly what you want to accomplish, take a significant time to plan. Are you going alone? What language is spoken in that country? 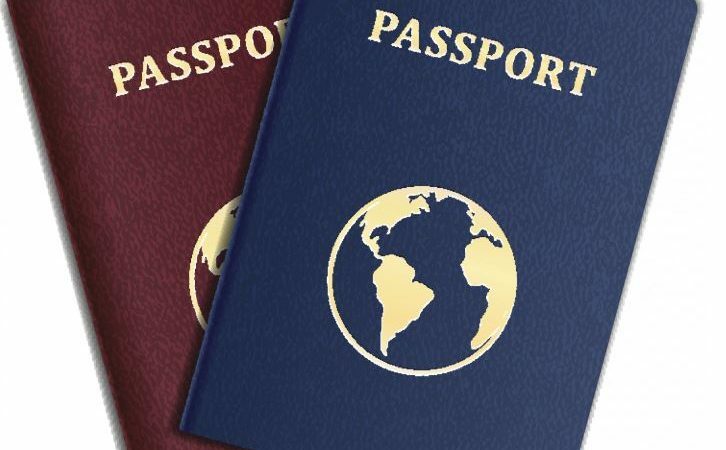 What visas, permits and documents will be necessary? a. Planning and execution will take time. While you are preparing, try to learn as much as you can if the country’s language if it is different than yours. This is a very important step that will facilitate everything else. b. Research and verify that you meet all the visas and entrance requirements to avoid surprises. c. If you are relocating through employer or work, ask questions, check the accommodations they are arranging, research school district, talk to other employees that have relocated before. You might not get all answers but don’t leave your future and that of your family completely in someone else’s hand. d. If you are going on your own, make sure you have enough money for general expenses (such as accommodation, , transportation, food, season clothing, documents such as driving licenses, professional licenses, and so on) and for those unexpected circumstances. e. Enlist the help of a reputable and experienced travel agency. Make sure to ask questions and understand the entire process, from packing, documentation, the trip, arrival, customs and immigration. Do some research online as well. f. Purchase tickets well in advance to ensure a reasonable price. g. Before boarding, make sure you have at hand all documents necessary to go through immigration and customs. Ask questions and don’t make assumptions. Follow all the directions given by the travel agency, the airline personnel at boarding, during trip and at arrival. a. Go with an open mind. It usually takes about three months or more so that someone feels totally at ease in a new environment, so don’t worry if you’re still feeling homesick or anxious after two months. You’ll only have a good idea how life will be in that place after you’ve been there for a while. Do not press to feel comfortable at the beginning. b. Make sure you have someone you trust in your new destiny and that you always have enough money to leave the country. It’s never good to feel trapped. These two things will set the scenario so that you slowly go to become comfortable. c. Find a job involving interaction with other people. This will help you get used to the new environment and learn the local language faster. The sooner this happens, the better you’ll adjust. Changing country with a job in Vista is a wise attitude, but, if that’s not possible, this should be your first priority. However, you do not necessarily need to be hired: You can also move to study. Working or studying, you will keep in touch with the locals, practise the language and learn the culture of the country. Besides filling your pockets, of course. d. Make friends who speak the local language. So you will have the opportunity to practise and you can integrate more rapidly into the country. If you think you don’t speak the language well enough, you can do some language courses, where you will meet other immigrants from the whole world. Do not be intimidated, learning a new language is difficult and most cultures are accustomed to foreigners who are not incredibly fluent in their language. If you believe that you are fluent enough, you can also find a boyfriend, which would be a great way to learn the language and your idiosyncrasies, as it will help you.